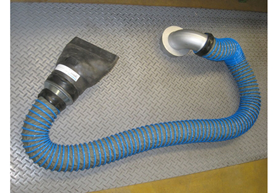 Our exhaust extractor solutions are used all over the world in vehicle repair shops, by emergency services, in car inspections facilities and bus garages, to name a few. 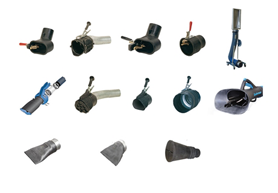 In the automotive industry, our exhaust nozzles and hoses are often combined with our other products and systems for fume and dust extraction as well as for cleaning, along with cable reels and systems for distributing lubricants, compressed air, water, electricity etc. 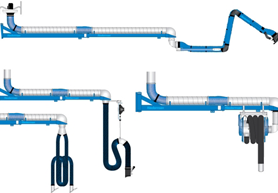 Exhaust extraction systems are low maintenance and ensure a much cleaner working environment for your people. 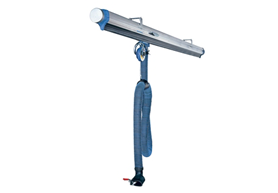 There is also an option to add an air filtration unit to the exhaust extraction systems in order to filter carbon dioxide fumes. Vehicle workshops are hazardous places filled with exhaust and welding fumes, dust from sanding and grinding, as well as oil spillages. The efficient supply and control of different media like oil and liquids is critical for operational profitability. A successful business depends on a safe, neat and well-organised workshop in order to maintain its reputation. We’re here to help you every step of the way – from designing and planning your set-up, to installation, service and maintenance thereof. We have the deep understanding and hard-earned experience to provide products and solutions for any type of vehicle workshop. 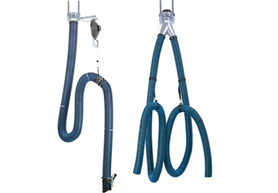 You won’t have to worry any longer about injuries caused by tripping over tangled hoses or cables spread across the workshop floor. Air, water, oil and power supplies will always be readily available exactly when and where you need them and it will all be kept neatly out of your way when you don’t. Exhaust fumes, welding fumes, grinding dust, etc. are dangerous to health and can reduce productivity. With the right exhaust extraction solutions, these contaminants will be removed at their source. 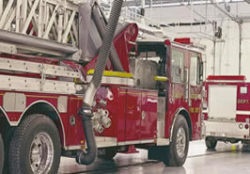 Damage to hoses and cables is mainly caused by mechanical wear and tear, which is why we make sure that no supply system is left on the floor where it would be in harm’s way. 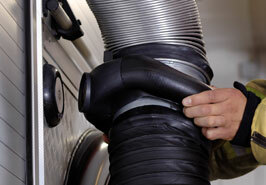 Grinding and sanding processes generate harmful dust. 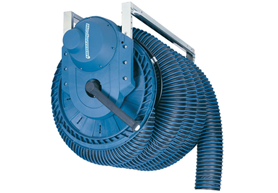 Because a clean environment is essential for the finish, our vacuum cleaning systems will keep your vehicles and premises clean and tidy.